When was the last time your office was redesigned? If it’s been awhile, you may want to consider analyzing your corporate graphics — especially if your business now is not what it originally was when you first moved into your space. Being consistent in your office branding is one way to make sure your customers will stick with you and not want to leave. At SpeedPro Imaging of Greater Atlanta, we work hard to accurately capture your brand in all of our graphics. We aim for perfect visual solutions at all times. Whether your needs are for the long-term or just to get you through a month or a quarter of a year, we’re only a phone call away. If you live in the areas surrounding Atlanta, such as Fulton, DeKalb, Gwinnett and Cobb counties, stop by our studio. SpeedPro Imaging of Greater Atlanta has been lending service to the area for more than eight years, and we’d love to welcome you in! We can assist you in recreating the look and fee/l of your office in many ways. The first thing we’ll do is meet with you one-on-one for an initial consultation. This meeting is our way of getting to know you, your business and your vision for your brand. 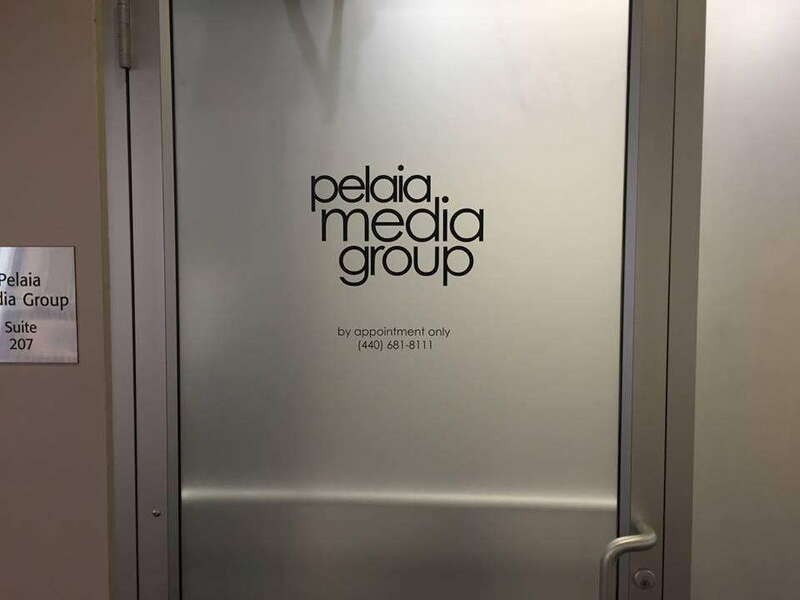 Once we identify your office branding method, we’ll get to work on creating your visually stunning graphics, ensuring a quick turnaround time to satisfy your customers. You don’t have to have all these elements installed in your office, but the more you include, the more emphatic and persuasive your branding will be. 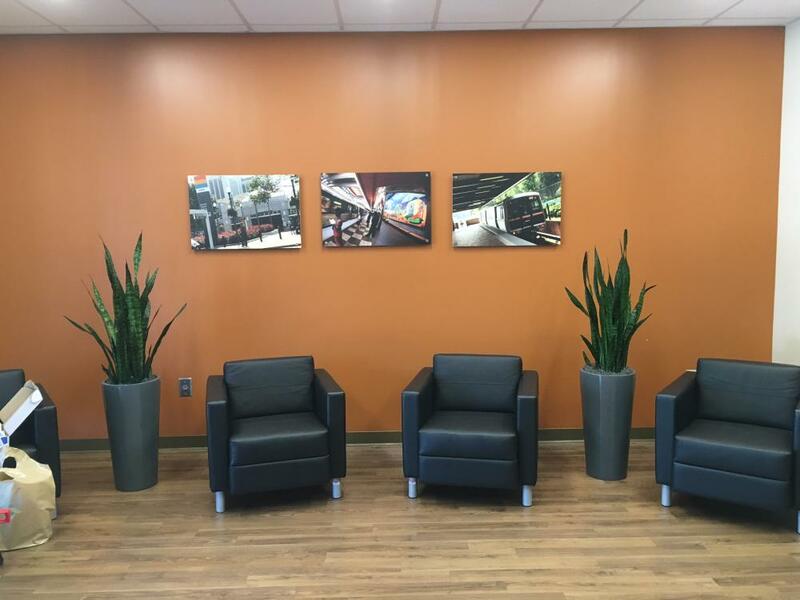 With our innovative printing technology, we’re able to color match all your graphics, making your office look complete with the same uniform design and color scheme. When you take a look at our options for office branding, it’s easy to see just how customizable these graphics are. For instance, our banners can be displayed in a variety of ways. Vinyl banners can be placed inside, hanging from ceilings and placed on walls. Grommets and poles give you versatility in how to display them around your office. You can also opt for our retractable banners, which get rolled up in metal stands. When placed effectively at the entrance or lobby area of your office, the colors and graphics are eye-catching. Our banners can be used to promote products or services, display past successes and awards, offer information to customers and so much more. 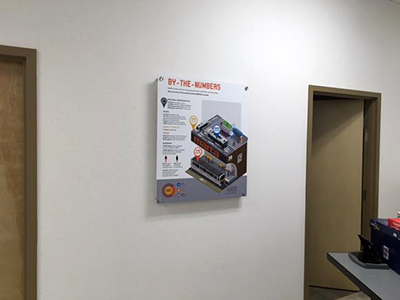 Directional signage both indoors and outside your office will guide customers to important meeting areas, such as the lobby, reception, bathrooms, where to park and individual offices. This method will also highlight areas and key information for your employees that can lead to better sales, services and meetings. Having perfectly branded directional signage that matches your business will allow customers to know that no matter where they go in your office, they’ll receive the same exceptional service. 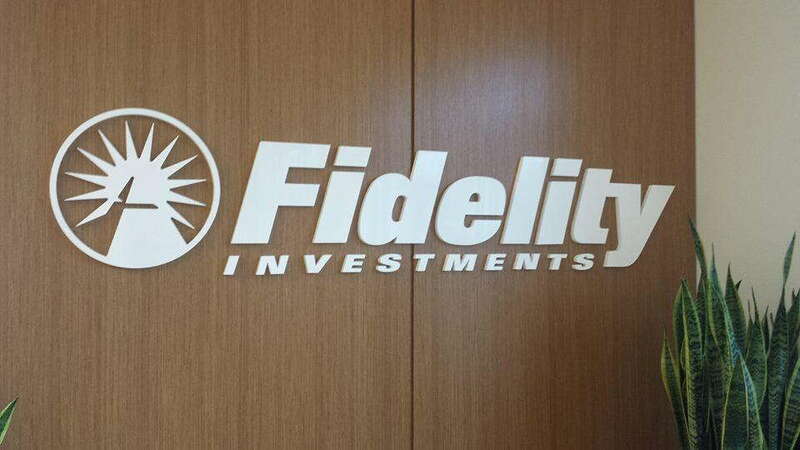 Wall murals are a popular and easy way to complete your office branding. 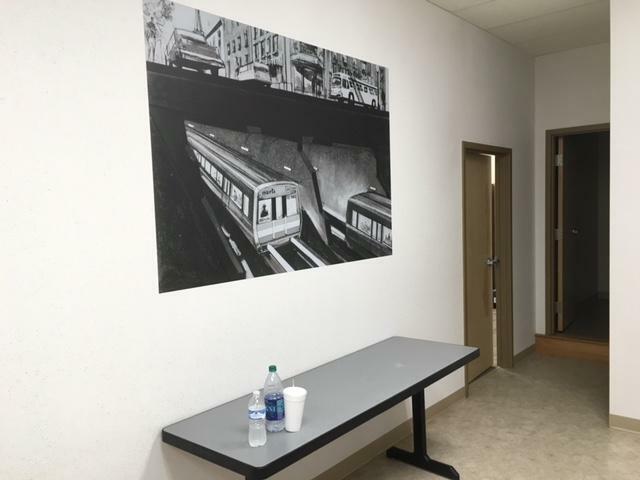 Murals are convenient because they’re often large enough that their size alone will draw attention. When your visual plastered along the wall is a representation of your brand, the impact is enormous. With vivid colors and a driving message, your brand and initiative will be associated with the mural any time someone looks at it. For all of your visual solutions needs, our studio in Atlanta, GA is the match for you. 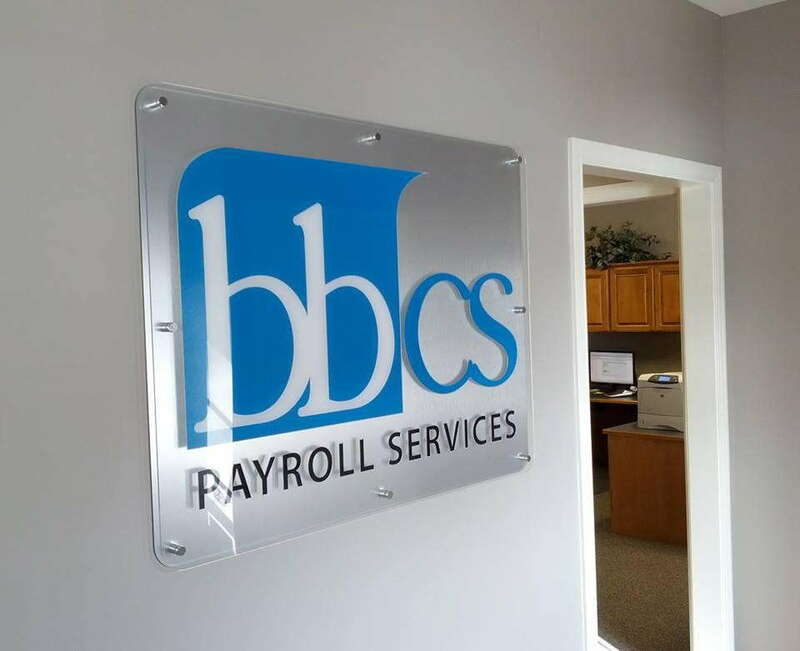 Office graphics are just one of the many products and services we specialize in regularly. Others include event graphics and vehicle wraps. If your office located in the Atlanta area is looking for a rebranding opportunity, call us today! We’ll designate a time and date to set up a consultation and discuss your business and brand.